The Durham mug is the most popular of our Dye Sublimation shapes, with great photography you can evoke emotions and generate ideas. 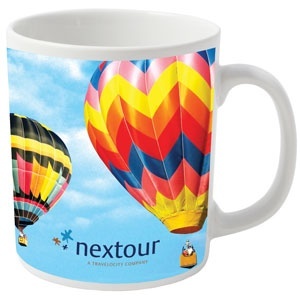 Dye Sublimation enables bright eye catching full colour designs on mugs, with the brightest of colours. 100% dishwasher proof and tested to over 2000 washes, the Durham is the most durable dye sublimation mug available.